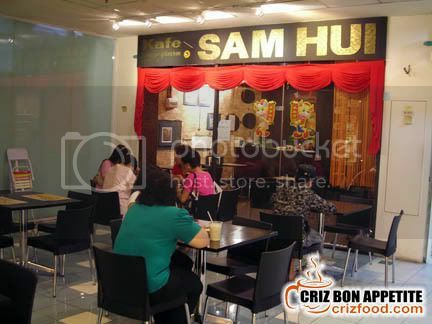 The legendary 70’s Hong Kong actor/singer Samuel Hui (Sam Hui) has a food franchise business in Penang? Generally, this is what I have heard from some of the older generations around here. 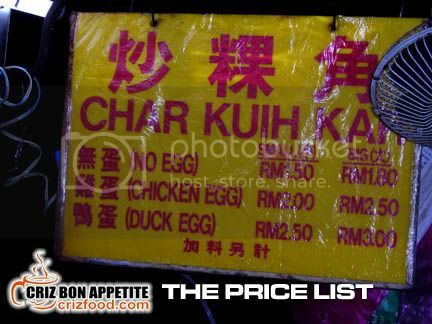 Well, the proprietor is definitely named Sam Hui, a Malaysian. 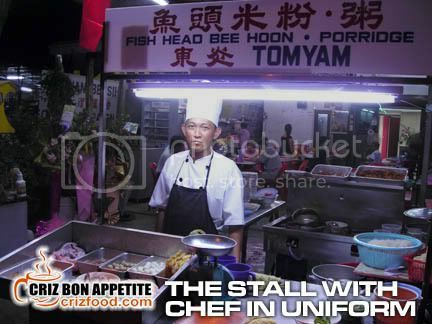 You would not get him to sing to you with his unique voice or break any humor but he would surely impress you with his range of Hong Kong style cuisine. I have tried out one of the franchises recently and was really impressed by their choices of food, tastes, food presentations and pricing. It was in fact better than some of the known Hong Kong style restaurants around town. 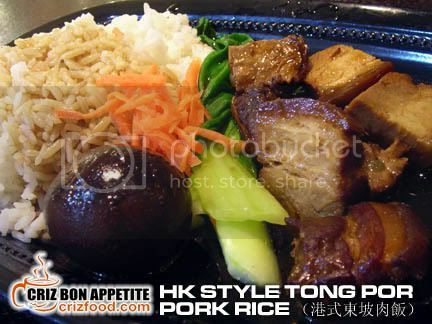 The Hong Kong Style Tong Por Pork Rice (RM5.50) tasted real good. It may look like a plate of normal economy rice with some meat and vegetables but one bite into the sliced meat and you would be asking for more. 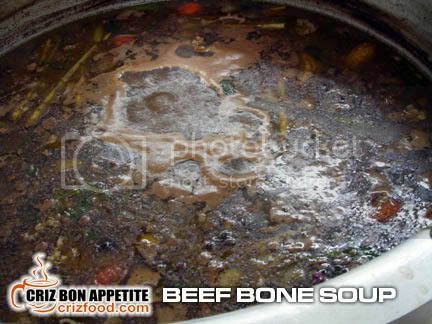 The meat was nicely stewed until soft and tender with their special fragrant herbs and spices. It would just melt right in your mouth. 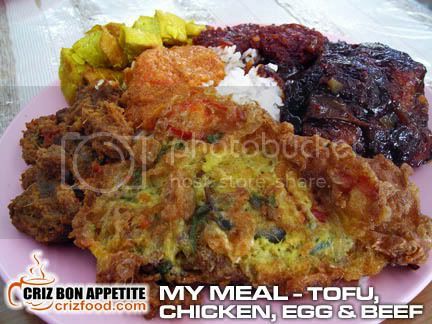 It would have a stewed egg and some vegetable to balance off the meal. Their Orange Fried Fish Rice (RM6.80) was also quite unique. 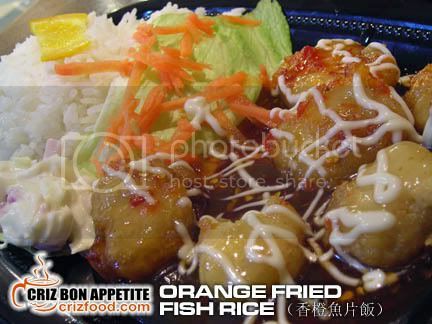 It has quite a generous amount of deep fried tempura based fish slices cooked in mild spicy orange sauce and topped with mayonnaise, served with rice and accompanied with some salad. The taste would suit any ages. 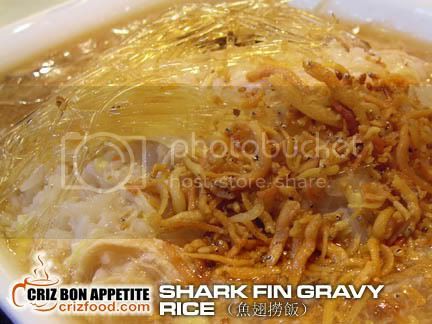 You could also try out their Sharks Fin Gravy Rice (RM7). 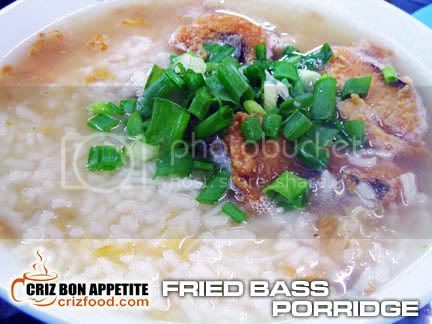 This is another wetter version of rice served with a generous amount of shark fins and fried baby anchovies. The gravy was nothing more than some rich broth with some beaten eggs. It tasted quite normal to me except that the fried anchovies did bring out some fragrance in the dish. Moreover, I was quite skeptical about the amount of shark fins given at such a low price. It could well be mock shark fins as the bite was not as chewy as the real ones. Well, at least some sharks were spared in this process. LOL! 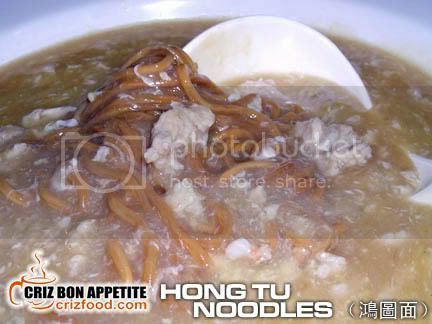 I also tried out their Shanghai Noodles with Dried Tong Por Meat (RM5.50). 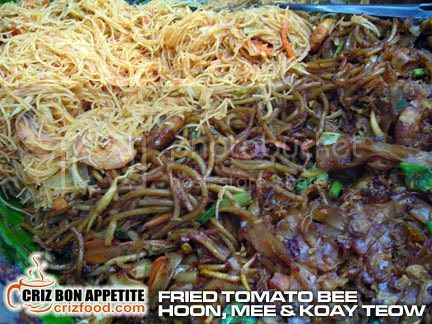 The juicy meat slices were as great as mentioned above and the noodles blended in well with the Tong Por meat gravy and a hint of sesame oil. 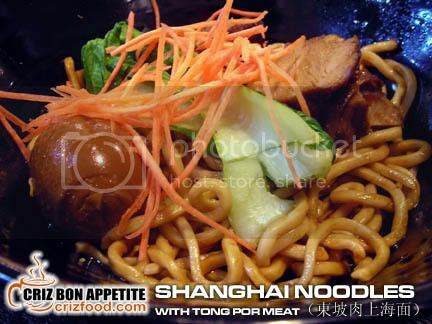 The Shanghai noodles tasted like a combination of ramen and pan mian. It has a springy sensation and tasted real nice. You should also try out their salad and lighter snacks such as the fried and soup based dumplings, spring rolls combined with different salad dressings. 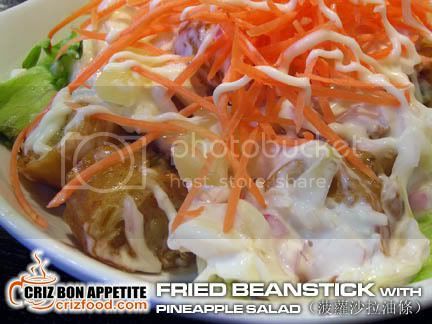 I quite like the Deep Fried Breadstick with Pineapple Salad (RM6.80). 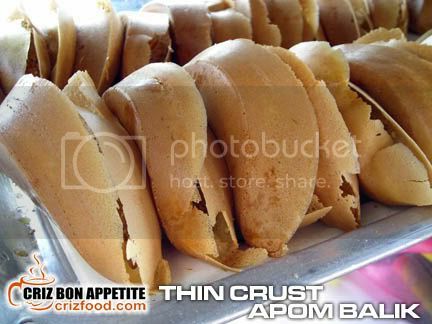 Each piece of the sliced breadstick or commonly know as You Tiao or Chinese Crullers were stuffed with some prawn paste and deep fried until golden. The crunchy yet delicious breadstick slices (10 pieces) were then laid on some fresh green lettuce and topped with some pineapple salad and fresh carrot strips. This is a must to have. 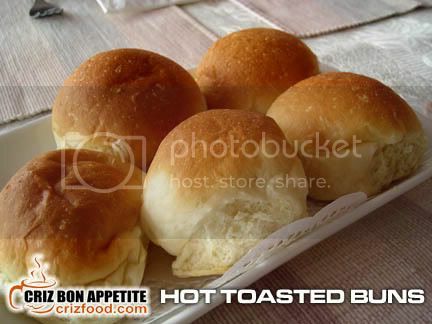 The café do also serve Siew Long Bao (Little Basket Dumpling – 6pcs) for a mere RM9. 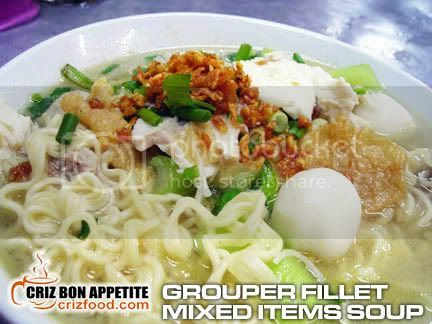 Each piece of the dumpling contained some soup with seasoned minced meat mixed with some chopped Chinese celery. 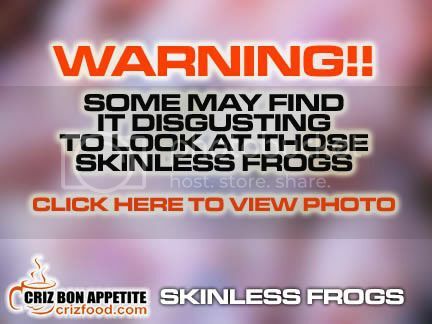 Watch out when you take these dumplings as you might spurt some of the juices at your friend. LOL! Anyway, I found those served here to be quite fine except for the minced meat which has a bit too much of corn starch added, making the meat a bit too soft. On top of that, the accompanied black vinegar with ginger strips was a bit too diluted for my liking. The café do not have many choices for desserts as there were only three options such as Sweetened Barley with Egg and Tofu Skin (RM3), Red Bean Paste (RM3) and Fruit Cocktail with Herbal Jelly (RM3.50). 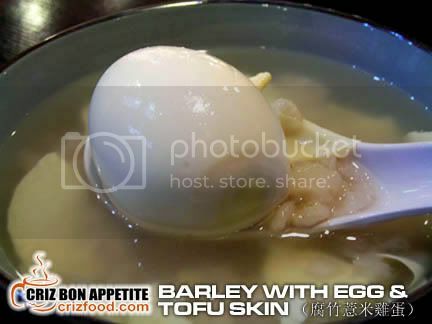 I managed to try out the Sweetened Barley with Egg and Tofu Skin. The barley broth was mildly sweetened with rock sugar, accompanied with some barley grains, dried tofu skin and a hard boiled egg. This is an ideal dessert for a hot and humid weather. Overall, the place served some good food at a reasonable price and without any taxes added onto your bill. They also have a few unique ice blended juices such as Markisa (Indonesian Passion Fruit) and Red Plum for you to try out. There are just too many items to introduce here. 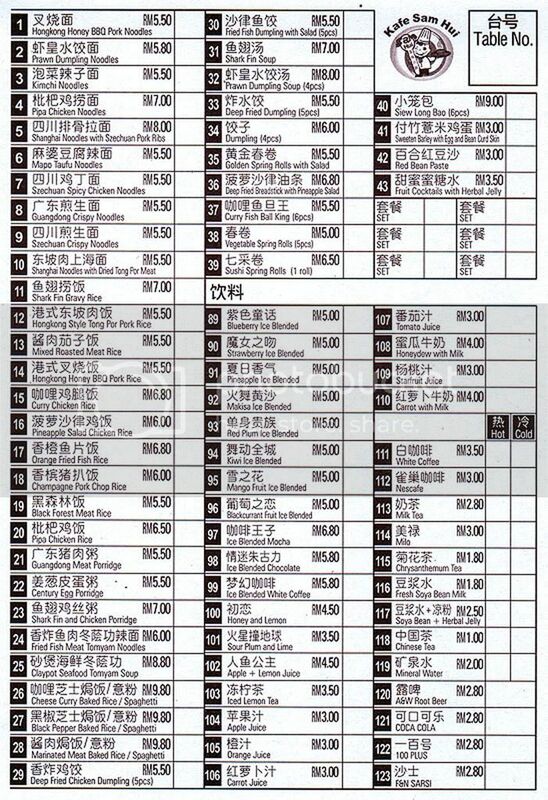 I will just attach their order menu to let you have a better idea of what they have. You can just click the photo to see the enlarged version. Although the location of the café was at a secluded area of the mall, it’s actually quite easy to find the place. 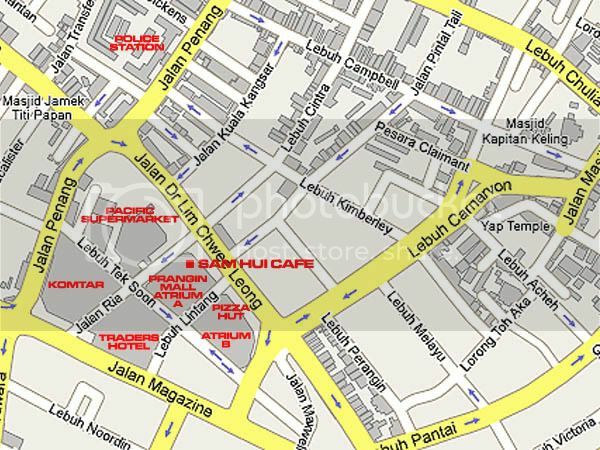 Try to find your way to Prangin Mall Atrium A (where Bread History, Secret Recipe, Starbucks, 7-ELEVEN, etc are). Use the main bubble lift to level 2. Look out for the striking S&J orange signboard or Digi yellow and blue signboard. Immediately after these two shoplots, you would see the café located along an inner lane between the Chocolate Gift & Souvenir and Glantz shoplots. You can also check out their main branch located within the 1-Stop Midlands Park Centre in Pulau Tikus. Just walk into the main entrance of the mall (Jalan Burma). The café is at level 2 on your left. Jalan Burma, 10350 Penang, Malaysia. UPDATED 15 February 2009: I thought after having some reasonably nice food at their Prangin Mall branch, the food at the main branch would be even better. My whole family was extremely disappointed with the taste and quality of the food served here. It was real embarrassing to me. To me, it should not the main excuse of us being the earliest patrons there. Moreover, the rude service of certain staff had added to the wound. The five of us had ordered 5 different dishes and none of those ordered met our expectations. The taste for Shanghai Noodles with Tong Por Meat (RM5.50) was totally different compared to the one I took from the other branch which was filled with flavors. Except for the Shanghai noodles, the meat was hard and the gravy was so diluted with hardly any herb taste in it. The Kimchi Noodles (RM5.50) was a disaster. 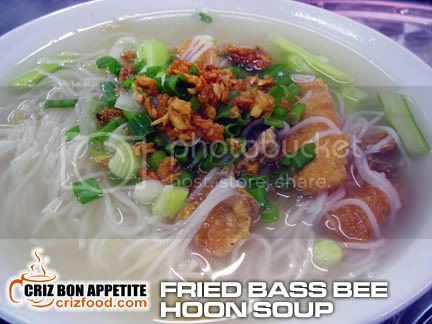 The wantan noodles used was soggy and the soup was rather tasteless except for the mild chili flavor. The Guangdong Crispy Noodles (RM5.50) was still fine but it was not the best around. It lacked of fragrant. The Pork Rib Rice (RM6.00) was a laugh. It was merely some sliced pieces of pork chop and it was so chili hot that it won’t fit the taste bud of a child. 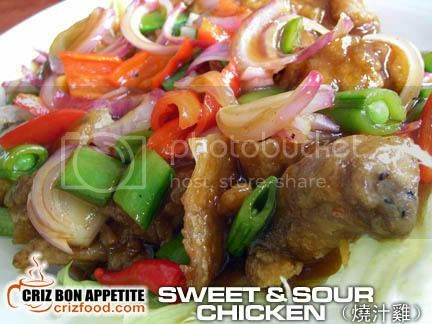 It’s supposed to be sweet and sour and not sweet and spicy. The last order which was Hong Kong Style Roasted Pork Rice (RM5.50) got me dumbfounded. 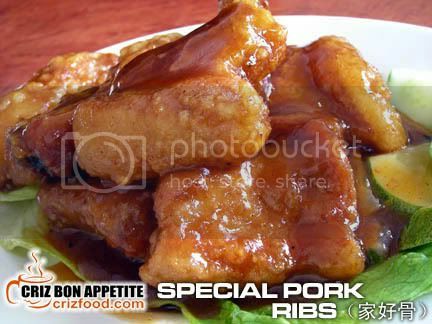 I expected the dish to be somewhat different in taste but ended up with some roasted pork slices fried with fermented beans. I could have cooked that myself instead of visiting a restaurant just for that. 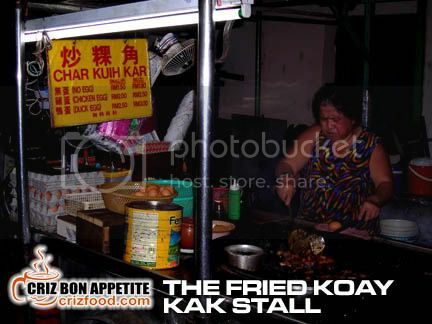 Overall, the food here is way below par compared to any of those roadside stir fry stalls. I would expect the café to look into a better qualified chef than to simply serve the public with such kind of food. If the other branch can provide quality food, why can’t the main branch? I might be wrong in this review but with two seasoned cooks, one elderly father and two children complaining, something is just not right. 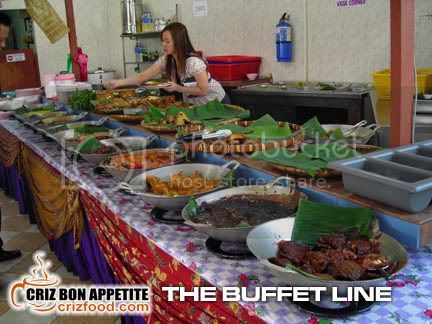 The menu here was slightly different with an additional 10 set meals priced at RM15. You can click to enlarge the menu below. If you are looking for a place where you can savor great food with rich and quality ingredients, you should take note of the latest Western and Asian fusion restaurant in Penang. 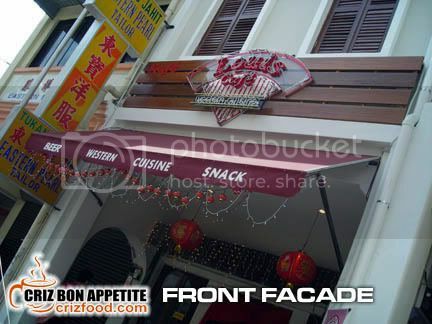 Opened barely two months ago on 22 December 2008, Louis Café had impressed its customers with its wide arrays of dishes. 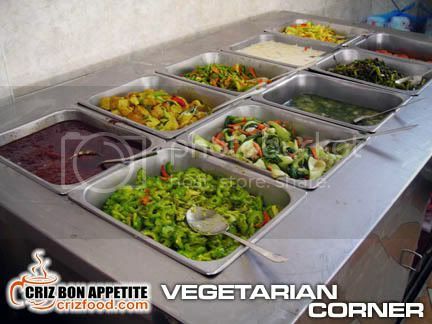 Most of the dishes served are the own concoctions of their few experienced chefs. Thanks to Lingzie for arranging this gathering yesterday as some of us were able to review on their food quality, taste, flavor and ambience. I would say this is a cool place for group meetings, family functions and a romantic evening for love birds with their averagely lighted atmosphere. Let’s start the food introduction in proper sequence. Salads were first and we were served with three different varieties – Our House Rules Organic Salad (RM15), Classic Caesar Salad (RM18) and Scallop Salad (RM20). The Organic Salad was filled with lots of fresh greens and a mixture of apple cider, olive oil, some herbs and a hint of chopped lemongrass. This would be a great appetizer for those who love crunchy greens but I find the dressing a bit sour to my liking. Maybe a pinch of salt and some raw brown sugar might help pep up the flavor. The Classic Caesar Salad was loaded with lots of fresh greens, fried bacon bits, salmon strips, mixed herbs and garnished with grated Parmesan cheese and toasted croutons. I simply love this salad as it was rich in flavors except that I would prefer the croutons to be oil fried instead. The Scallop Salad was indeed another irresistible choice. On top of the fresh greens, the seared fresh scallops still maintained their juiciness. The searing definitely brought out the flavor in the scallops and with the special apple salsa sauce. This salad was one of the best I had tasted for ages. It even had some chopped onions, tomatoes, apples and chives for that extra bite. The next set was the soup served with some dinner rolls. We had the opportunity to try out some of the existing as well as newly created soup. There were all together 5 varieties which included Italianese Wild Mushroom Soup (RM10), Pumpkin Soup (RM9), Cream of Broccoli (RM9), Cream of Cauliflower (RM9) and Cream of Tomato (RM9). All the soups were creamy and tasty in their own ways. Except for my favorite Pumpkin Soup which came with some toasted almonds slices garnishes, I personally find that these could be further improvised by adding some bites into them such as toasted wild mushroom slices, oil fried croutons, chopped tomatoes as all the ingredients were blended too fine. We were then served with another 8 main course dishes such as the Vegetarian Cutlet (RM15.90), Classic Fish Cordon Bleu (RM25), Sirloin Steak with Red Wine Sauce (RM28), Grilled Lamb Chop with Peppercorn Sauce (RM22), Grilled Lamb Chop with Brown Mushroom Sauce (RM22), Beef Tenderloin with Peppercorn Sauce (RM38), Pan Seared Salmon Steak with Dijon Sauce (RM30), Red Snapper with Cream of Tomato Pulp (RM25) and Baked Stuffed Chicken with Brown Mushroom Sauce (RM20). The Vegetarian Cutlet was unique as it came in the shape of a leaf. 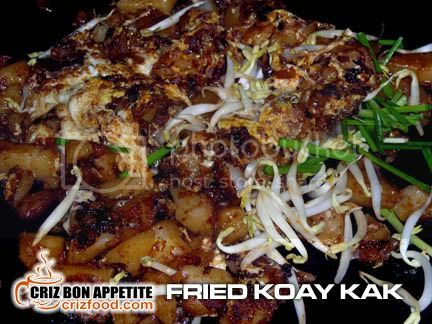 It was made from a mixture of buttered mashed potatoes, carrot dices, chopped onions, corn kernels, chopped broccoli, mixed herbs, coated with breadcrumbs and fried to perfection. 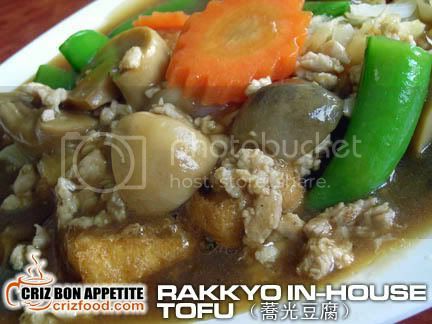 This would be a great dish for those who like to have a meatless meal. The Classic Fish Cordon Bleu was another hit amongst us. Instead of red snapper fillet, Pacific dory fillet was used. The combination of the fresh fillet with filling such as ham and cheese, was so well balanced that it was gone within minutes. The Sirloin Steak with Red Wine was also a dish that got us drooling as the air flown Australian Striploin maintained its juiciness and tenderness after being grilled medium rare. The red wine sauce complemented the whole combinations perfectly. The Grilled Lamb Chop came in two flavors – Peppercorn Sauce and Brown Mushroom Sauce. Most of us preferred the latter as the former had a rather strong pepper taste which overpowered the natural lamb flavor. The Beef Tenderloin with Peppercorn Sauce was also nice except for the strong peppercorn sauce as mentioned. The Pan Seared Salmon Steak with Dijon Sauce was also nice combination except for the fillet which I personally find a bit too thick to allow whatever marinates to seep deeply into the meat. The Red Snapper with Cream of Tomato Pulp was grabbed up real fast too. The freshness and smoothness of the red snapper fillet blended in well with the accompanied creamy tomato pulp sauce. The Baked Stuffed Chicken with Brown Mushroom Sauce was another cool dish as the chicken thigh fillet had a whole cheese sausage stuffed inside, breaded and baked until golden. 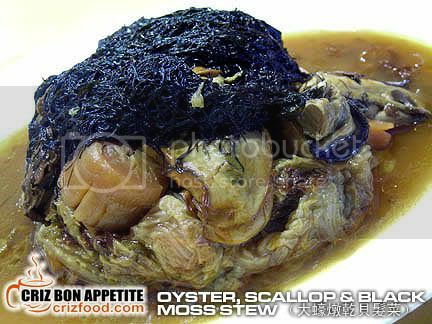 The brown mushroom sauce combined well with this dish. On top of the main courses, we also had Spaghetti Arrabiata (RM16), Fettucine Carbonara (RM16) and Spicy Chicken Tortilla (RM15.90). The Spaghetti Arrabiata was nice for those who love a spicier version. 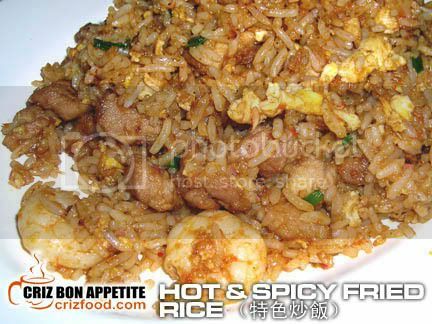 I personally find the herbs and ingredients were a bit too spicy and over rich in flavors. The Fettuccine Carbonara was my favorite as it had lots of bacon slices, ham strips, chopped onions, sautéed garlic, buttered wild mushroom slices, mixed herbs, cream and grated Parmesan cheese which made the whole combination perfect. Instead of the fettuccine pasta, linguine pasta was used and this made each mouthful even smoother and flavorful. Spicy Chicken Tortilla was a surprise to us as it was not stated in the menu. The filling was marvelous as the chicken pieces and potatoes were mildly spiced with some curry spices and curry leaves. Each bite left us yearning for more. Since all of us were fully stuffed by the café’s management (Thanks to Ms. Teoh), I managed to try out one of the desserts which was the White Fungus with Ginkgo Nuts (RM5). The dessert was marvelous as the soup was mildly sweetened with red dates and rock sugar. 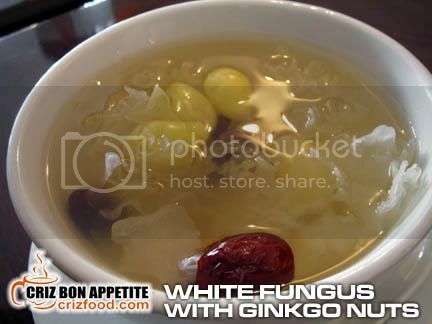 The ginkgo nuts were cooked just right and the white fungus still maintained their crunchiness. You can also opt for their other desserts such as Bird’s Nest at RM45 per bowl or the Herbal Snow Jelly at RM10 per bowl. Overall, we enjoyed ourselves dining in the café. With the great Penang Floggers there, it was even more fun and exciting. 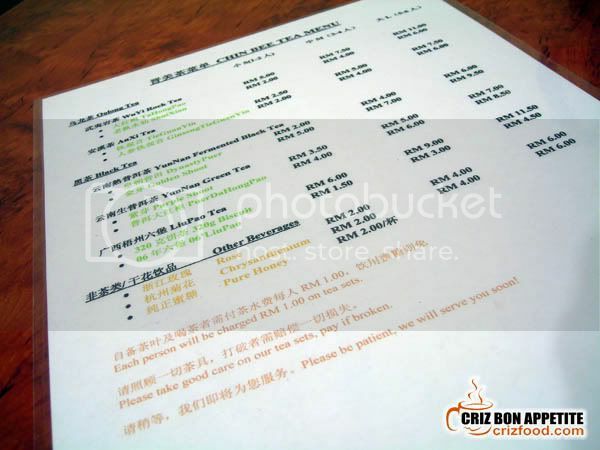 There would be a 5% service tax applicable to all the meals ordered but you can always check with the proprietor, Ms. Teoh, for group discounts if you would want to hold some functions. Tour groups are always welcome. On top of the Ala Carte dishes as mentioned above, the café do have a different Set Lunch menu daily which consist of appetizer of the day, choice of main course, choice of beverages and free flow of ice cream at only RM18.90+. Set Dinners are also available with an additional soup of the day and the option to choose between beverages and fresh cut fruits at only RM26.90+. Moreover, they also have finger snacks such as Fried Chicken Wings, Deep fried Squid Balls, French Fries, Potato Wedges and Deep Fried Calamari Rings from as low as RM6. 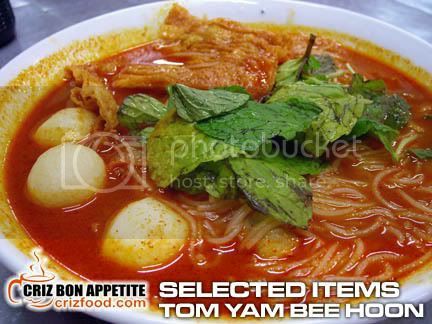 If you fancy some local hawker fares, you could also look into their Asian menu which has Seafood Singapore Bee Hoon, Seafood Fried Rice, Thai Seafood Tom Yam Bee Hoon Soup, Seafood Hokkien Char, Seafood Hor Fun, Seafood Ramen and BBQ Pork Ramen (between RM8-RM12). 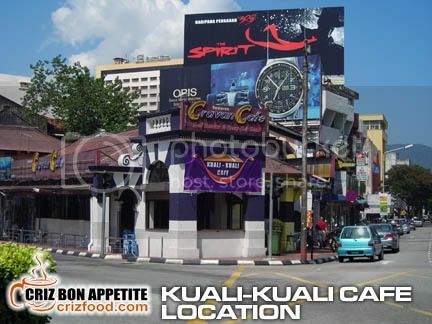 Finding the restaurant would be easy but not prominently noticeable as it’s situated along a row of pre-colonial houses along Jalan Argyll. 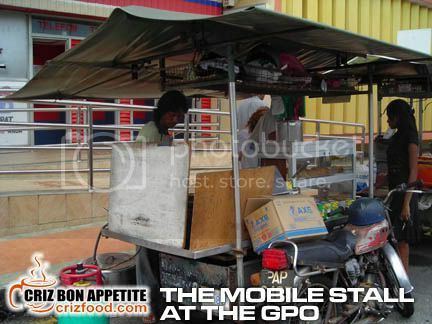 The best way to reach the café would still be from Upper Penang Road. Coming in from Jalan Sultan Ahmad Shah into Upper Penang Road where Hotel Continental, Hotel Malaysia, Cititel are, drive onwards until you see Veenai Odeon Cinema on your right. 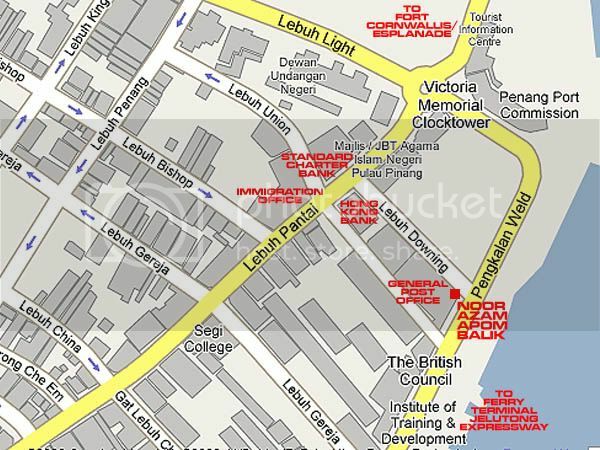 Turn right into the road, that’s Jalan Argyll. 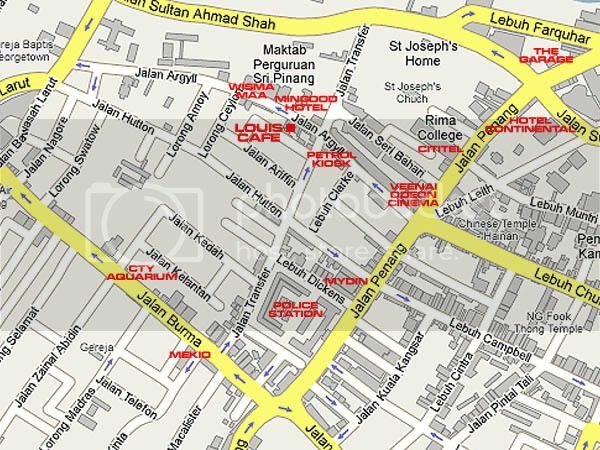 Drive on until you have reach the cross junction (Jalan Transfer/Jalan Argyll). 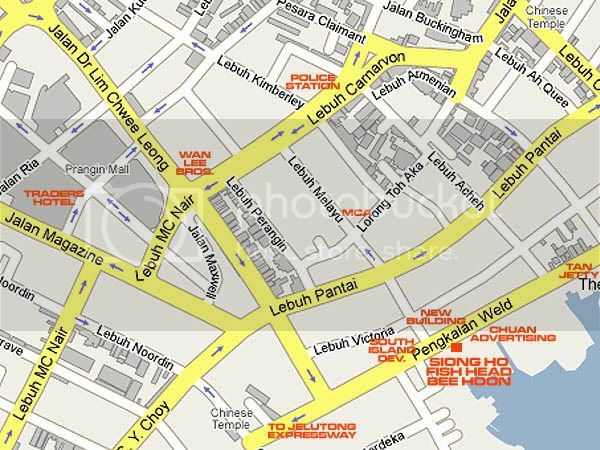 Drive across Jalan Transfer and you would see the café just a few houses away on your left (directly opposite Mingood Hotel). 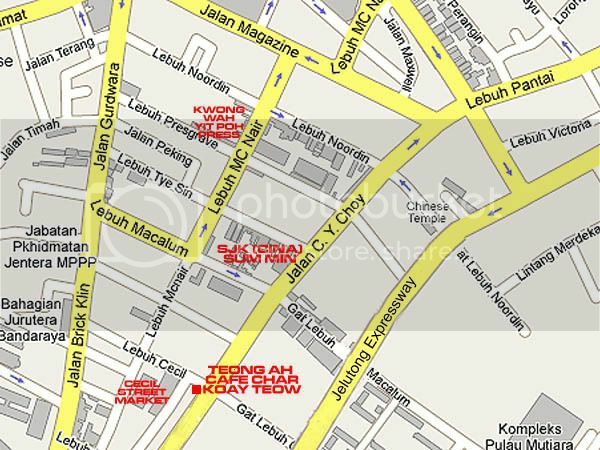 Address: 161-C, Jalan Argyll, 10050 Penang, Malaysia. It was another reunion meal and a birthday celebration for my Dad on the fourth day of Chinese New Year. 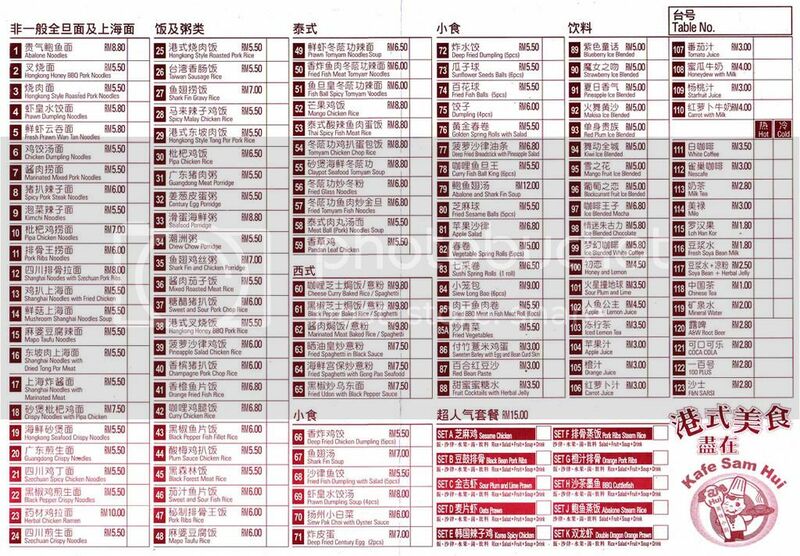 Most of our chosen restaurants were either closed or fully booked on that day. To avoid any disappointments, we had booked a long table at the Salsas Restaurant at Hotel Continental for early lunch instead. The restaurant was indeed very crowded. Walking into the restaurant, you can feel the coziness of the whole setup. Here’s a glimpse of the whole place. Salsas Restaurant does not provide many ala carte dishes. Instead, it has 26 impressive set lunches in the menu, ranging from as low as RM13.50 to a higher range as much as RM27.50. 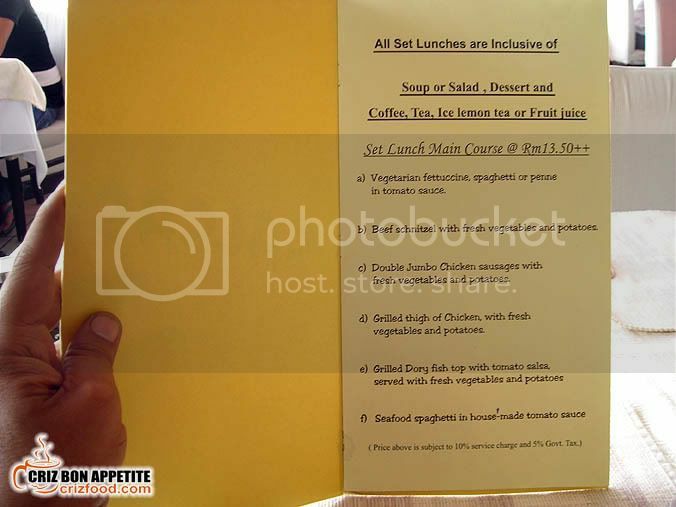 Every single set lunch would come with Soup or Salad of the Day, Main Course, Coffee, Tea, Iced Lemon Tea or Fruit Juice, and Dessert of the Day. It’s quite a good money-for-value meal. 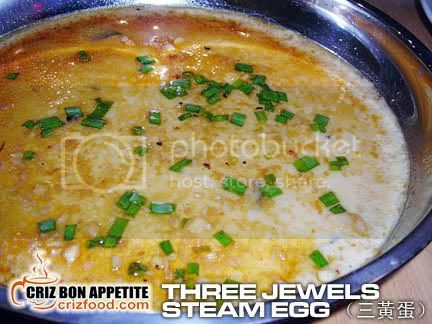 Just click and enlarge the below photos to know what they have in their menu. Let us just look at how a typical set lunch at the Salsas Restaurant would look like. First you would be asked on whether you would wan coffee, tea, iced lemon tea or mango juice on top of the plain glass of water you would be served. They would also serve everyone with a hot toasted bun each with butter while waiting to the set lunch courses to start. We were given the option to choose between the Soup of the Day and the Salad of the Day. The Soup of the Day was Asparagus Soup. It was creamy enough for my liking. The Salad of the Day was some fresh lettuce and tomatoes with mayonnaise and garnished with toasted bread cubes. It was refreshing. 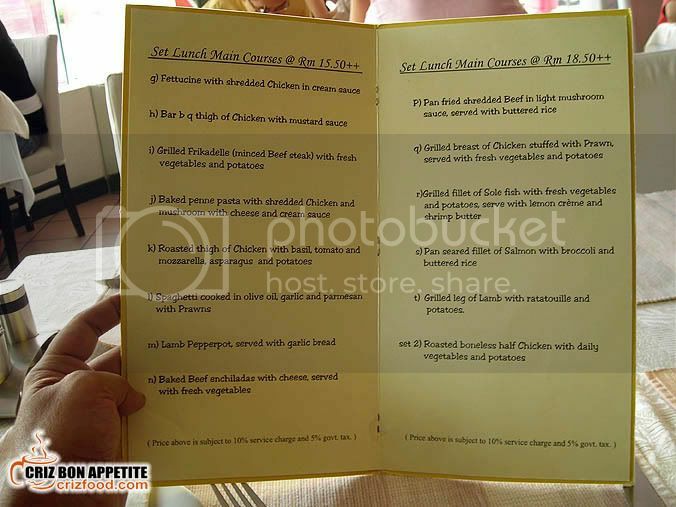 We ordered the main course from 3 different price ranges in the menu. The first range was RM13.50. We had Double Jumbo Chicken Sausages and Grilled Dory Fish Fillet with Salsa. The sausages were good but a bit salty to my liking. The dory fillet was also good combined with the tomato salsa it came with. The next range was RM15.50. We had Baked Penne Pasta and Lamb Pepperpot. The pasta tasted great with lots of chicken cubes and creamy cheese. On the other hand, the Lamb Pepperpot was braised with the right herbs and had the tenderness I would like. This dish came with 3 slices of richly toasted garlic bread. The next range was RM18.50. We had ordered Grilled Sole Fish Fillet and Grilled Lamb Leg. The fish was fresh and it went well with the lemon crème and shrimp butter. It has some salty breadcrumbs garnished on the boiled cauliflower. It was very yummy indeed. Next was the Grilled Lamb Leg. The lamb leg was grilled well and the tenderness blended in real well with the accompanied salsa. 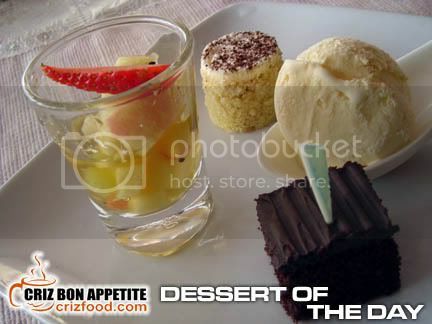 The set meal ended with Dessert of the Day which consist a scoop of vanilla ice cream, a fruit cocktail and two mini cakes. It was nothing to brag about but the presentation was great. 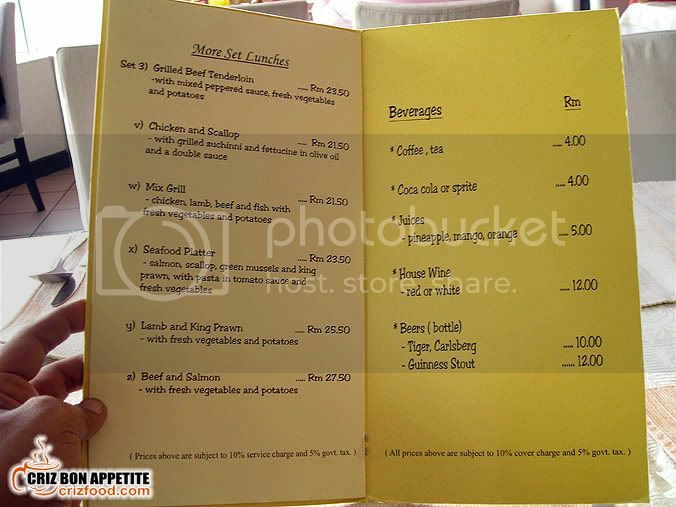 All the set lunches would come with a 10% service charge and 5% government tax. 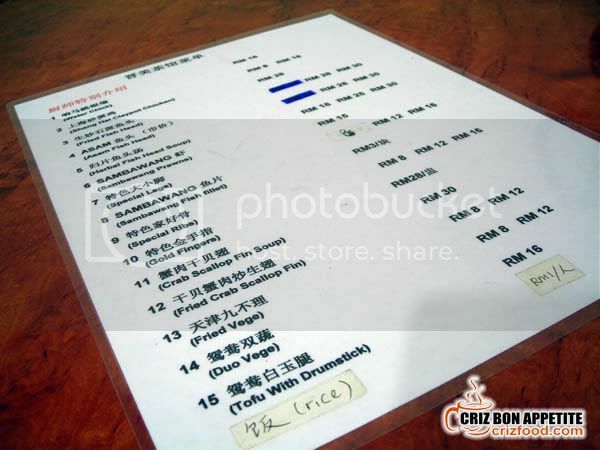 The total bill was RM162.73 for 9 persons. I would say it’s rather reasonable although the main course size was a bit too small to fill me up. I would surely visit them again to try out their other set dishes. 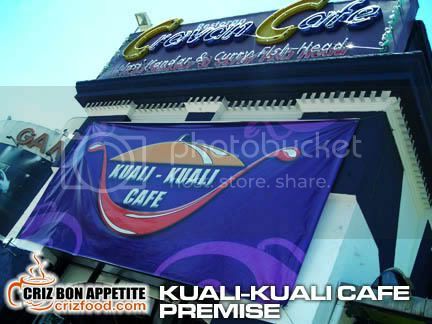 If you are driving down from Jalan Sultan Ahmad Shah into Jalan Penang, you will see the restaurant right at a corner within Hotel Continental’s premise. As the road there can be quite jammed up, I would advise you to park your car at the Red Garden Café parking lot just a block away and walk to the restaurant. 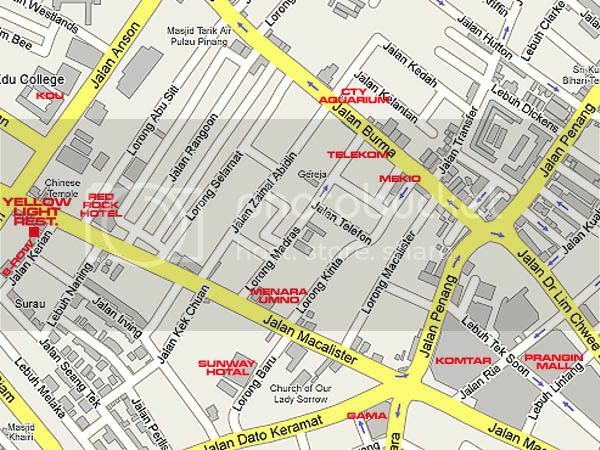 Address: Ground Floor, 5 Jalan Penang, 10000 Penang, Malaysia. 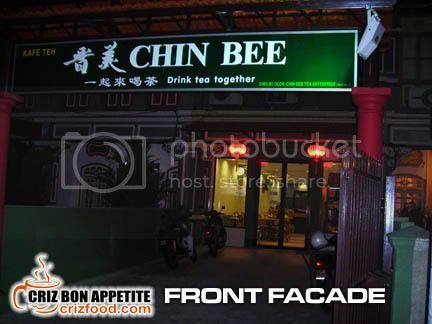 Most Penangites would have known about this Thai Restaurant with no signboard except for a yellow round light along Jalan Fettes since 1982. 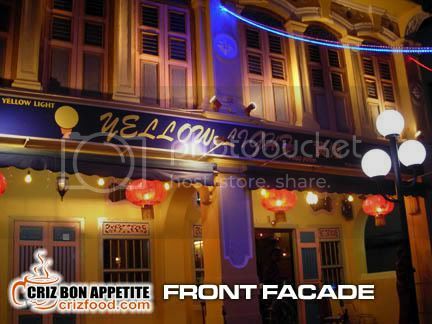 Yellow Light (Thai Food) Restaurant was one of the finest Thai cuisine restaurants ever existed in Penang, managed by the then founder, Madam Yoke Payong. Subsequently her daughter, Chef Loh took over the business and continued to serve great Thai cuisines to patrons from all over the world. 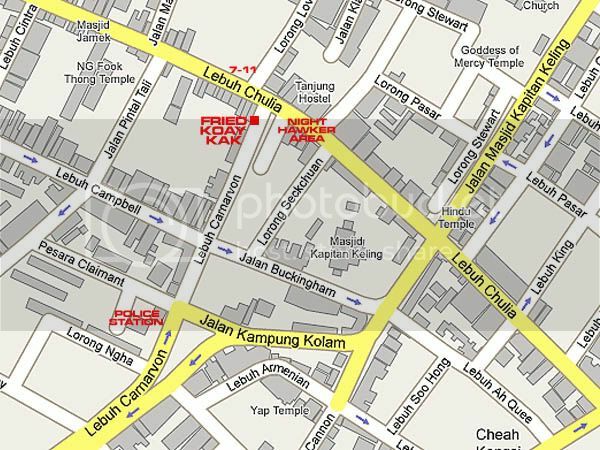 The business eventually moved to 8 Row along Jalan Krian off Jalan Macalister. Somehow, I guessed another golden opportunity knocked at the right time and she’s right now with her new restaurant along East Coast Road, Singapore. The continuity of the current restaurant, under the same name, is under a different management now. 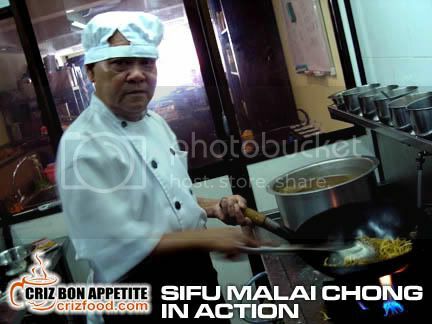 Will the food be as good as before ever since Chef Loh had moved to Singapore since January? Let’s look at some of the dishes I had ordered here compared to the one I had tasted by Madam Yoke as well as her daughter, Ms Loh. 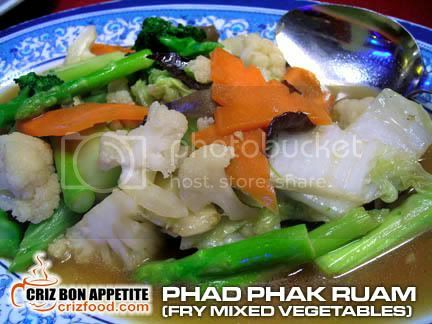 The first dish that was served was just another simple dish in any household, Phad Phak Ruam (Stir Fry Mixed Vegetables – RM9). Except for some Chinese cabbage, carrot, broccoli, cauliflower, asparagus and wood ear fungus, there was not a piece of meat or prawn in it. 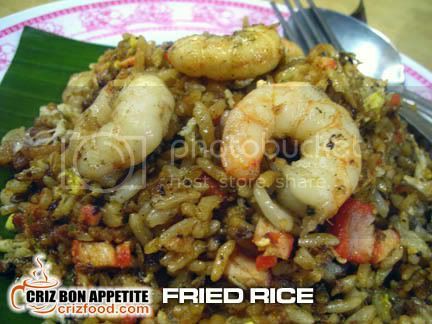 The taste was just normal without any Nam Pla (fish sauce) to bring out the best in the dish. 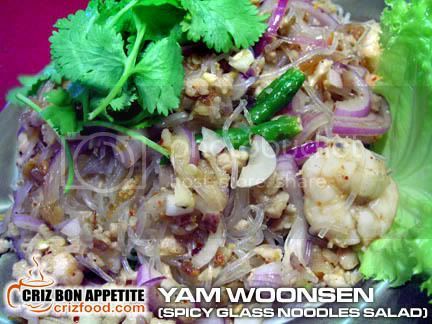 Next was Yam Woonsen (Glass Noodles Salad – RM12). 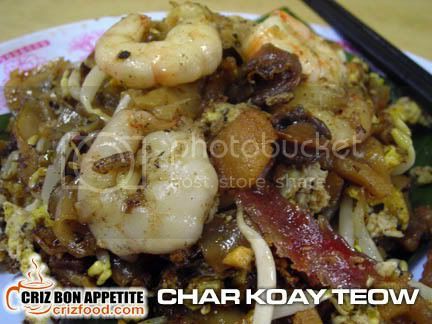 The dish has cooked glass noodles, prawns, dried shrimps, chicken dices, onions and chili paddy mixed all together with some sauces and garnished with some coriander. 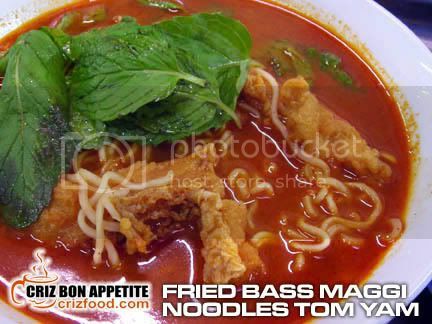 The dish was a bit too sour and the glass noodles were so soggy that all were lumped up. We had to request for a pair of scissors to cut them up. 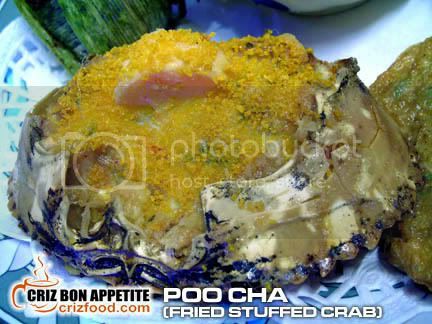 Thailand is famous for some of their seafood dishes. 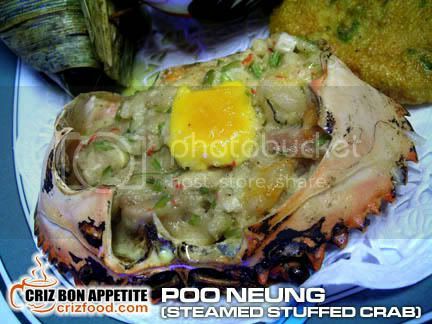 We tried out the Poo Cha (Deep Fried Stuffed Crab – RM6/pc) and Poo Neung (Steamed Stuffed Crab – RM6/pc). Both had the same ingredients such as minced meat, prawns, crab meat, water chestnut, Chinese celery, chopped chillies and topped with some salted egg yolk. The fried one came with some breadcrumbs. As for the taste, I find the stuffing rather soft to my liking. I guessed the cook might have put too much of corn starch into the mixture, thus making the stuffing too sticky and slimy. 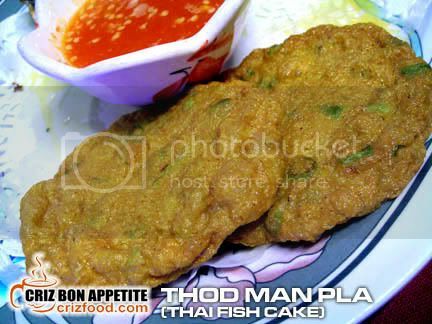 One of my most ordered dishes in Thailand other than Tom Yam Gung would be the Thod Nam Pla (Deep Fried Fish Cake –RM2.50/pc). The ones served here was not as spicy and thick as those I had taken before. I find the whole fish cake rather bland to my liking. Moreover, the amount of vinegar in the chili sauce provided was too strong. 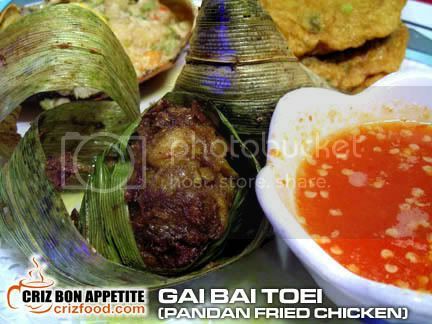 A Thai meal would not be complete if you do not try out the Gai Bai Toei (Fried Pandan aka Screwpine Chicken – RM2.50/pc). This was another let down as I could not really bite out the toughness of the chicken pieces. There were just too much of spices in each wrapping than the actual meat. 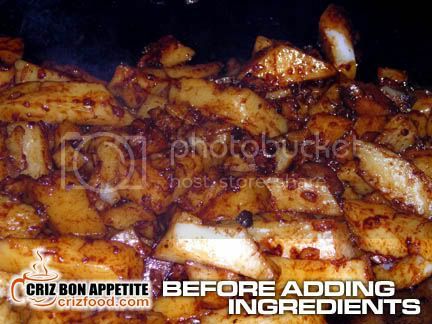 Moreover, the meat was over marinated until they became over soft like minced meat. 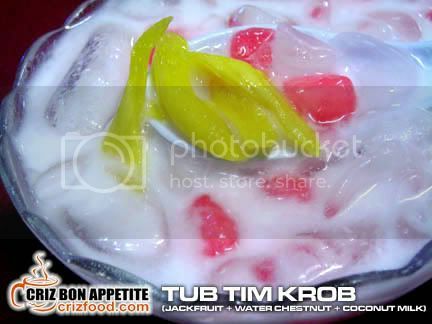 As for dessert, I ordered the Tub Tim Krob (diced water chestnut in colored starch and jackfruit strips served with thick coconut milk –RM2.50). The dessert was rich with coconut milk but was too sweet to my liking. Maybe I could have ordered the wrong dishes from the drastically reduced food list compared to the previous ones I had at the original house but if the basic dishes from a Thai cuisine had failed my taste bud, it would mean that the rest would not be as interesting anymore. The damages were RM55.35 for all the food ordered with drinks, optional wet towels and 5% service tax. I hope that the new management would try to improve further with the food quality. I also hope that I don’t get to see the good image and reputation of the former heavenly Yellow Light tarnished and vanished from the face of Penang. 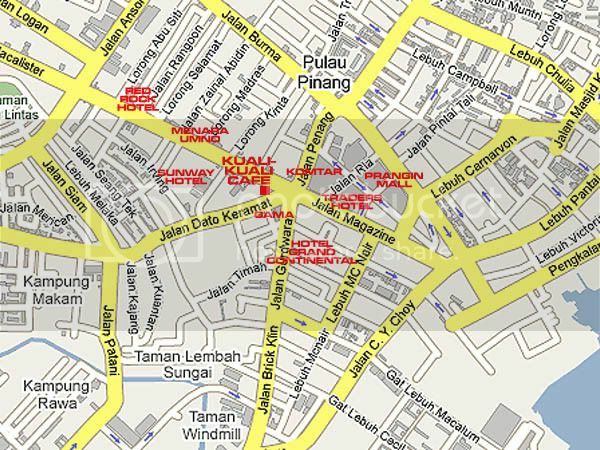 If you are driving down from Komtar into Jalan Macalister, you will see a petrol kiosk on your left and then Grand Paradise Hotel. 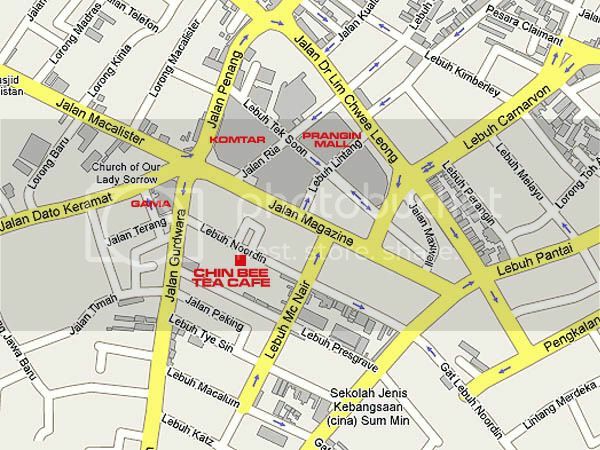 Immediately after the hotel and before the traffic light, there is a left turning, Jalan Krian (Krian Road), where the 8 Row heritage restaurants are situated. 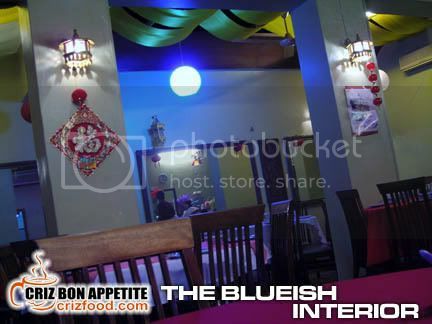 The restaurant is occupying the first two shop houses. 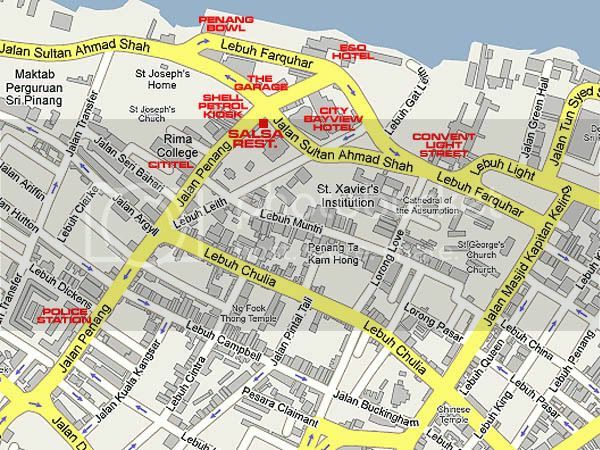 Address: 2-4, Jalan Krian, 10400 Penang, Malaysia.